According to Bondic, “Glue is dead”. 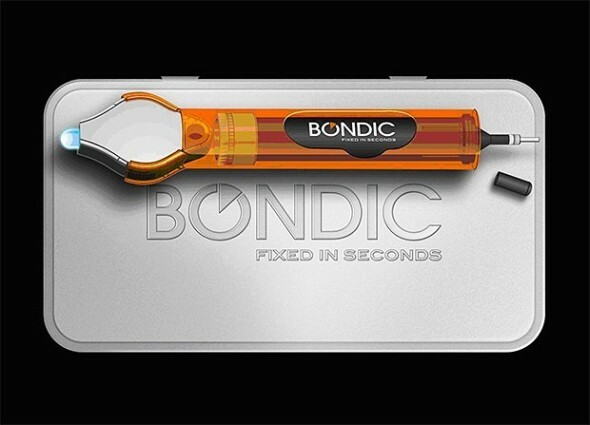 The Bondic Liquid Plastic Welder is a resin that doesn’t harden unless you activate it with the LED UV light. Pretty cool stuff actually. For $22 you can get your own tube of Bondic (refills cost $12). Great for fixes where you don’t the bonding agent to harden until you are ready. Much better control than your traditional glues. And they have some pretty funny promotional videos, after the break. Seems more like sealant is head. Pretty cool stuff but glue is usually used to join two surfaces. UV won’t penetrate if you’re trying to join two flat surfaces.